Online pharmacies are here to stay. Online pharmacy is now one of the fastest growing sectors of the healthcare industry. Buying medicines and consulting a doctor from the convenience of your home are some of the underlying reasons for the growth of online pharmacies. While you can save both money and time when you buy medicines from an online pharmacy, it is vital that you understand how to buy safely. Before looking at the signs of a safe online pharmacy, let us consider the dangers of shopping from an illegal online pharmacy. What are the Dangers of Buying from an Illegal Online Pharmacy? Along with the growth of this sector, there has been an uprising of illegal online pharmacies. Is buying from an unregistered online pharmacy any different from a registered one? Below are some of the dangers of illicit online pharmacies. If an online pharmacy has not been registered by the appropriate, it means that it cannot be trusted with selling original medicines. Buying from an unregistered online pharmacy means that you can get a fake, bad, or even expired drug. The prescription and sale of some drugs are restricted to prevent their misuse and abuse. While registered online pharmacies sell drugs to only individuals who are verified, most unregistered online pharmacies do not. This means that just about anyone who has access to the internet and their website could get access to drugs that would otherwise need a prescription from a specialist. Counterfeit drugs is another problem that comes along with unregistered online pharmacies. Counterfeit drugs have become a serious problem globally, and unregistered online pharmacies have played a significant part. More than $75 billion worth of counterfeit prescription medicines were sold worldwide in 2010. And we all know that counterfeit drugs can be hazardous to your health. There is no telling what you would get from an unregistered online pharmacy. If the individuals can run an online pharmacy without being registered, they can also embark on misleading advertisements of drugs. For example, you can order for a hair loss shampoo and get a regular hair cream. Now we know the dangers of shopping from an illegal online pharmacy, it is crucial for you to understand how to buy drugs safely. This is one of the best ways to ensure that an online pharmacy is registered and safe to buy drugs. If an online pharmacy operates in the U.K., they have to be on the General Medical Council register. If you are the United States when you visit the website of a pharmacy look for a seal that says VIPPS. It stands for “Verified Internet Pharmacy Practice Sites”. Any online pharmacy with a VIPPS seal has been screened and approved by the NABP (National Association of Boards of Pharmacy). NABP is an independent, international body that assists pharmaceutical boards of countries. Any registered online pharmacy would have a licensing seal peculiar to your country or from NABP. With the internet, it is possible to find out how the online pharmacy has performed in the past. Run the name of the online pharmacy through a search engine, and you would find reviews of others who have shopped there. The reports would help you know the type of services to expect. 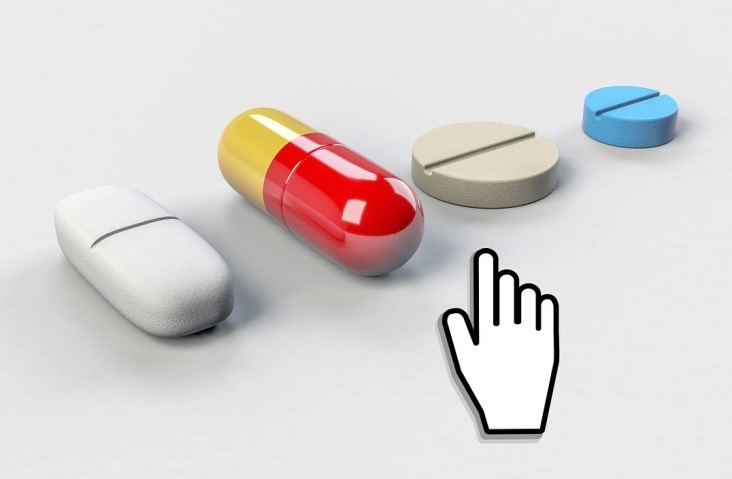 Regulatory bodies require that for an online pharmacy to dispense prescription drugs, the patient must first carry out an online consultancy, or provide a prescription from a licensed medical practitioner. When you visit an online pharmacy, if not of these are required, do not proceed to buy the drug here. It means the pharmacy is operating out of regulations. When you visit a registered online pharmacy, you should be able to talk a pharmacy either on the phone, by email, via a video call, or chat with a pharmacy online. Check also for a phone number with which you can contact a pharmacist(s). Do not shop at an online pharmacy without pharmacies. An online pharmacy should have a physical address where the drugs are kept. When you shop at an online pharmacy, check for the street address of the online pharmacy. With the help of google maps, you can find out if there is a pharmacy located there. This is an extra tip to ensure you help you shop better at online pharmacy. Restricting your shopping to online pharmacies in your location is very important to stay safe online. While there are registered online pharmacies which carry our worldwide delivery, there are risks to this. A drug can be made specifically for a country; with different inactive ingredients than the one in your country. Such drugs may have a different effect as the one you take. Shopping from these online pharmacies can take much longer for your orders to get to you. So, it is best to buy at an online pharmacy in your location. Also, your country may have regulations on where you can buy drugs. For example, residents of Denmark citizens can only receive drugs sent from EU and EEA countries (Norway, Iceland, and Liechtenstein). There is a good chance that it is the same in your country. The dangers of buying from an illegal or unregistered online pharmacy far outweigh its benefits. To spot a genuine or fake online pharmacy, you would need to be alert to the signs mentioned here. When you understand these signs, you can always shop from online pharmacies.